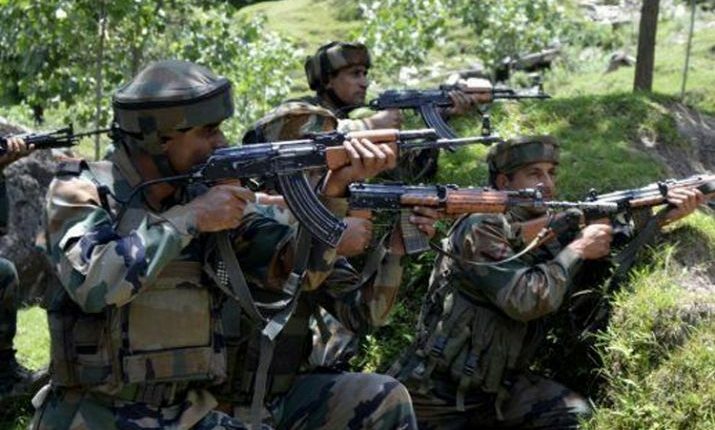 Five militants were killed in an encounter which ensued after security forces launched a Cordon and Search Operation (CASO) in south Kashmir district of Kulgam on Sunday morning. About a dozen people were injured in clashes with security forces near the encounter site in Kulgam, where mobile internet service has been suspended to prevent spread of rumours. Defence Ministry spokesperson Colonel Rajesh Kalia told UNI that troops of Rashtriya Rifles (RR), Special Operation Group (SOG) of Jammu and Kashmir police and CRPF launched a joint search operation in the wee hours in village Kilgam, Kulgam following a tip off about the presence of militants. However, he said when the security forces were moving towards a particular area in the village, the militants hiding there, opened indiscriminate firing with automatic weapons. He said the security forces retaliated, ensuing in an encounter. He said five militants were killed in the exchange of fire. Col Kalia said weapons and war-like stores were recovered from the encounter site. Giving details, official sources said that three militants were killed in the exchange of fire. However, fresh exchange of fire resumed soon after JCBs were pressed to clear the debris of the residential house to retrieve the bodies of the ultras. They said two more militants were trapped in the area, adding the duo took shelter in a nearby house. “The duo was also gunned down, taking to total number of ultras killed in the encounter to five,” they added.